Dry skin is a condition that is not desired by everyone. Because, this condition makes the skin become scaly, itchy, and cracked. One reason is a lack of certain vitamins in the body. To overcome this, you can try the following vitamins for dry skin. 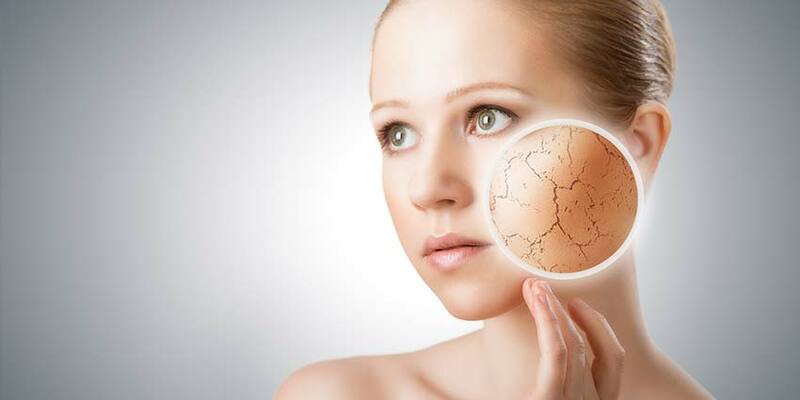 Dry skin arises when the surface of the skin is unable to maintain moisture. This can occur due to the use of soap with irritating ingredients, taking too long showers, aging, weather changes, and certain medical conditions such as eczema, lack of protein, vitamins and minerals, hypothyroidism, and diabetes. Dry skin conditions can occur in any part of the body, but are most common in the legs, hands, back and abdomen. In many cases, parents will be more susceptible to experiencing dry skin. This is because the skin of the parents will experience a decrease in the production of natural oil (sebum) which serves to moisturize the skin. Caring for the skin is one important part. The first thing that is generally recommended by doctors to maintain healthy skin is to avoid exposure to ultraviolet light for too long. To avoid ultraviolet exposure from sunlight, you can use sunscreen before doing outdoor activities. One of the keys to getting healthy skin is to consume vitamin A. Vitamin A is very necessary for the skin because it can prevent dry skin, wrinkles, and overall skin damage. Not only that, vitamin A can also keep the skin tight, elastic, and look youthful. You can get vitamin A by eating green leafy vegetables, oranges, carrots, eggs and cantaloupe. Vitamins for other dry skin are vitamin B complex. One of them is vitamin B7 or biotin which is used to maintain the growth of nails, hair cells, and skin. You can fulfill your complex vitamin B intake perfectly, by eating bananas, eggs, meat, fish, oatmeal, and rice. Vitamin C has a myriad of benefits for the body, one of which can overcome a variety of skin problems, such as dry, dull, wrinkled and dark skin. Vitamin C also helps the body ward off signs of premature aging, protect the body from sunlight, reduce cell damage, have antioxidant properties, and help heal wounds. Another type of vitamin that is very good for making dry skin healthy is vitamin D. Besides being beneficial for strengthening and healthy bones, vitamin D also has nutrients needed by people with psoariasis. Psoriasis is a condition that can cause the skin to become scaly and crusty. Your body will form your own vitamin D with the help of sunlight. Therefore, it is recommended that you bask in the sun for about 10 minutes in the morning. You can also meet your vitamin D needs by consuming a variety of foods and beverages, such as cereals, salmon and tuna, oranges, and yogurt. In addition to the various vitamins mentioned above, other vitamins for dry skin are vitamin E. Vitamin E has many good benefits for skin rejuvenation, one of which is natural protection from UV light. Vitamin E can help the body regain its moisture, preventing the skin from drying out. Consumption of vitamin E supplements as much as 30 IU per day, proven effective in reducing wrinkles and improving skin texture. You can increase your vitamin E needs by eating foods such as almonds, hazelnut beans, sunflower seeds, olives, and asparagus. Vitamins have an important role for your body's health. In addition, lack of vitamins can also be bad for skin health. If needed, you can take vitamins in supplement form. However, before you take vitamin supplements for dry skin, it is advisable to consult a doctor to get the right type and dose of vitamins according to your condition.